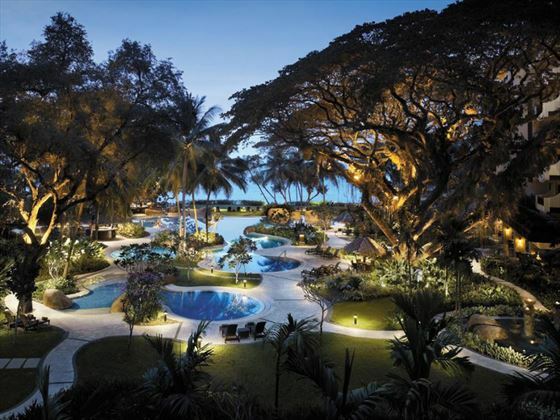 Within the resort, thirty acres of lush gardens help highlight the island’s tropical nature. Century-old rain trees offer shade to those below, whilst also providing the perfect venue for a romantic proposal or an exchange of vows. Rooms and suites are split across two iconic wings; the Garden Wing has been inspired by nature and features earthy tones and a citrus palette as well as energy-saving key cards and light systems. 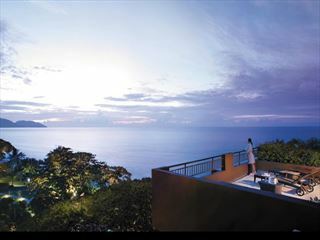 Designed with the more sophisticated traveller in mind, the Rasa Wing is set amongst the gardens and offers some of the most elegant and spacious accommodation in Penang. 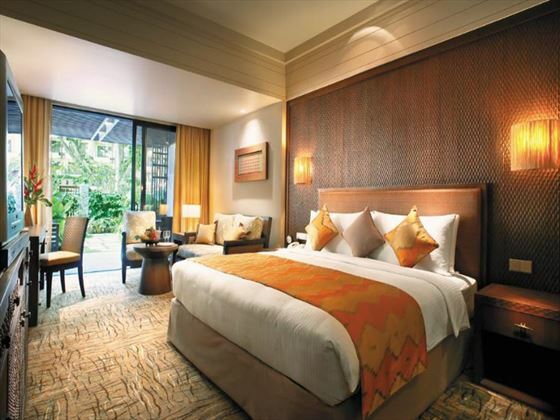 Rasa Wing has just 115 guest rooms and a far more relaxed atmosphere. 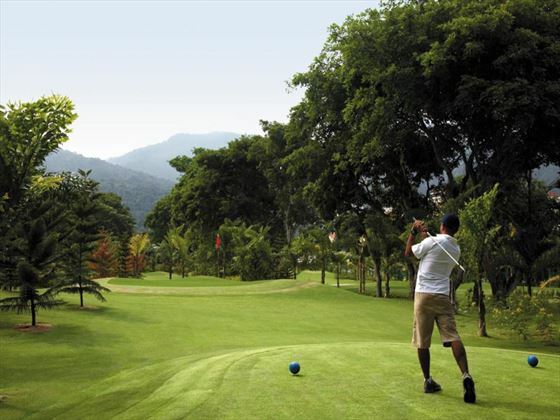 A 9-hole, par 3, pitch-and-putt golf course is available within the resort and is extremely well crafted. With holes ranging from 25 to 64 metres, golfers can play with just a pitching wedge and a putter. 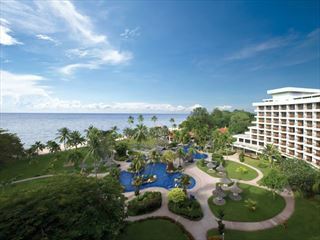 For those not interested in golf, the resort can arrange a three-hour walk through the island’s pristine rainforest. Walking shoes are required but it’s an experience you’ll never forget! Back in resort, three restaurants and two bars will help ease any hunger pangs whilst a visit to CHI, The Spa, will help relieve your mind and body of all stresses. Within CHI, 11 spa villas and a yoga pavilion allow guests to relax in their own personal space and enjoy traditional Chinese and Malay treatments. 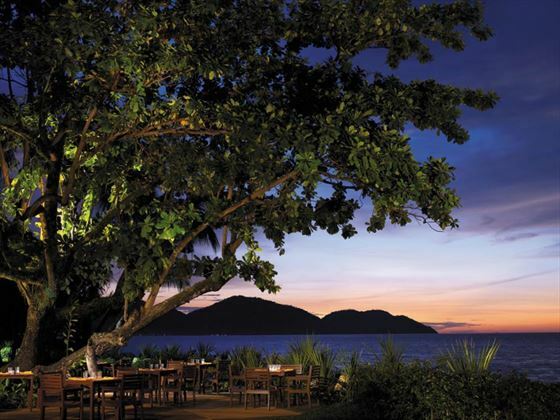 With Shangri-La’s Rasa Sayang Resort & Spa being just an hour’s flight from Kuala Lumpur, it is the perfect resort for a luxury twin centre holiday. 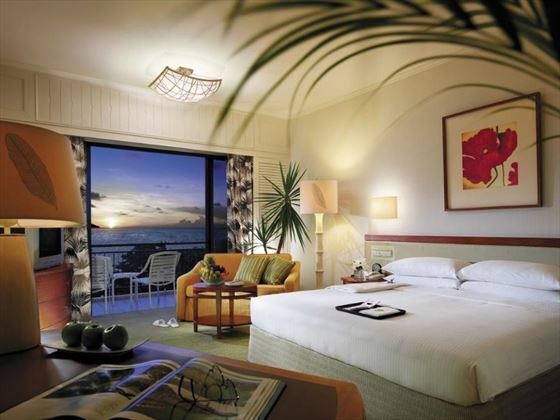 This charming resort is nestled along Batu Ferringhi Beach, a popular beachfront location adorned with luxury hotels and innovative restaurants. 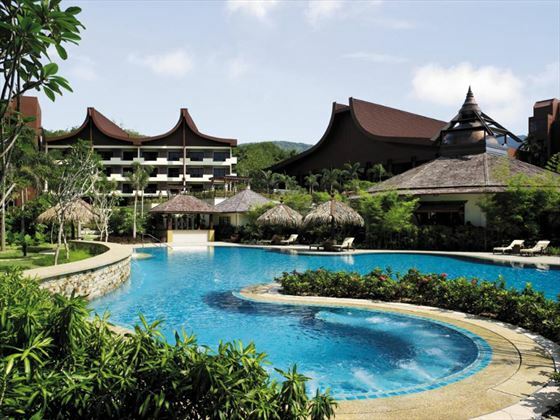 Rasa Sayang Resort & Spa offers 304 luxurious, expansive guests’ rooms and suites, split across two wings; the deluxe Garden Wing and the exclusive Rasa Wing. Coffee, tea, juices and soft drinks at the Rasa Lounge throughout the day and at the Rasa Wing Pool from 9am-5pm. 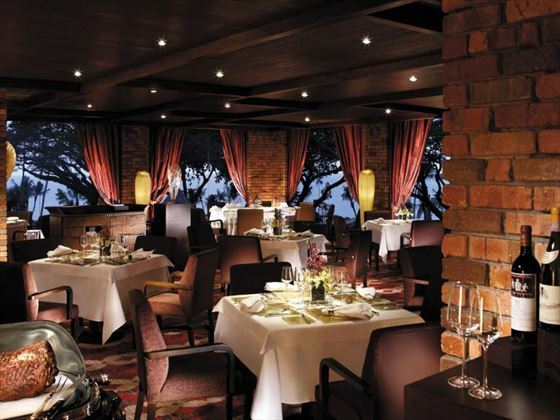 Located on the mezzanine floor of the resort, this warm and welcoming restaurant offers views out over the resort’s ancient rain trees. Serving up modern grill cuisine alongside vintage wines, it’s perfect for a romantic dinner with your loved ones. Rasa Sayang’s informal a la carte and buffet-style restaurant, Spice Market Café, specialises in authentic Chinese, Indian, Japanese, Thai and Western cuisines. Dishes represent Penang’s heritage as a cultural crossroad. Located by the beach, this picturesque venue provides stunning sunset views over the ocean as well as delicious, fresh a la carte dishes. Positioned directly next to Feringgi Grill, this atmospheric bar is perfect for drinks before or after dinner. 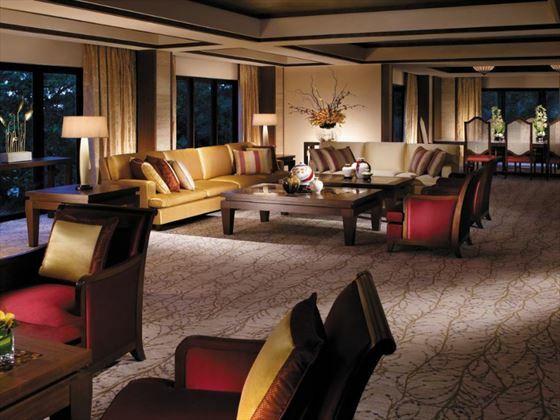 Live music plays regularly and guests wishing you smoke can do some in the designated cigar room. This trendy lounge serves up all kinds of creative dishes, from tic-tac-toe macaroons to a draughts checkerboard where the pieces are made up of chicken or crab. Once done, be sure to take a photo for your friends using one of the Lounge’s ‘selfie corners’. Adventure Zone is a unique family entertainment centre where children and adults can interact together in a safe environment. This incredible indoor play space is over 10,000 square feet and comes equipped with three different categories of slide, multiple sections filled with exciting play equipment, a games zone and a themed birthday party room. As well as the Adventure Zone, the resort has another unique entertainment centre for children, the Cool Zone Kids Club. Here children can enjoy a range of fun games, activities, arts and crafts and trips to the swimming pool with Kids Club staff. Most activities are complimentary however some do come with a small fee.